As Steph Curry and LeBron James duke it out in the NBA finals, there can only be one winner. Actually, scratch that. They both win…in their bank accounts. That might sound obvious—Curry is reportedly worth $27 million and James, $223 million—but it’s not. There are plenty of examples of stars making millions and squandering it all: Mike Tyson, for one, famously declared bankruptcy after earning $400 million. Vin Baker earned $100 million playing basketball, and was last seen working at a Starbucks. And by one estimate, nearly 80 percent of former NFL players end up in dire financial straits two years after retirement. So it’s far from guaranteed that rich athletes stay rich, which means there’s a lot to learn from how financially savvy pros like these 10 standouts handle their money. But true to his image, he’s remained grounded—and doesn’t complain that his “modest” $11 million annual salary makes him the fifth-highest Golden State Warriors player. Before signing his four-year contract in 2012, he carefully weighed his options: Pass, go into free agency and hope old injuries wouldn’t end his career, or sign, become a star and write his own ticket. “I could’ve had a different perspective and said, ‘I want to get everything that I could get, wait it out, test free agency that next year’—and who knows what would’ve happened? 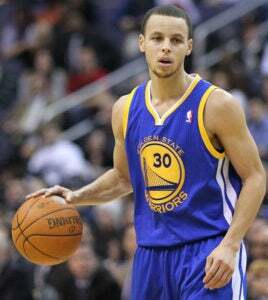 For me, a $44 million contract was plenty for me to be able to provide for my family,” Curry told Yahoo Sports. Since then, Curry’s made other key financial moves. In September 2015, his Under Armour deal was extended to 2024 and includes an equity stake in the company—which was probably his smartest shot yet. The lesson: Play the long game. Pay your dues today to further your career (and plump up your bank account) tomorrow. Case in point: By some estimates, Curry’s poised to sign a new contract next year that’s worth $30 million per season. This athlete needs no introduction, but here’s something you might not know: James signed a lifetime deal with Nike last year initially thought to be worth $500 million. Yet insiders suggest that figure is actually too low. 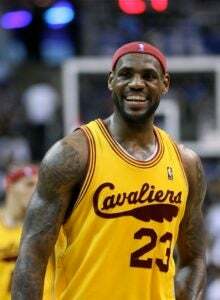 The truth is that James is a multi-million-dollar business who just happens to play basketball. And he has his sights firmly set on becoming a billionaire. The lesson: It’s not your regular paycheck or side gig that’s likely to make you rich—but your investments and other passive income streams you create for yourself. Marshawn Lynch spent the last several years as the running back NFL defenders hated to tackle. It wasn’t uncommon to see him carrying three, four, even five players for several yards down the field—and he largely carried the Seattle Seahawks to its first ever Super Bowl win in 2014. 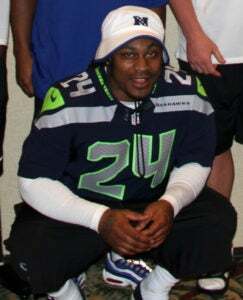 But his bruising style almost guaranteed an early retirement for the superstar—and sure enough, the man they call “Beast Mode” announced this offseason he would hang up his cleats at age 29. How can Lynch be confident that his earnings can support him long-term? While he recently debunked reports suggesting he’s never spent a dime of his nearly $50 million NFL earnings, it’s clear he’s prioritized financial stability. The lesson: Don’t spend money if you don’t have to—even if you can afford it.